the capsule are four muscles and their tendons, which make up the rotator cuff. The rotator cuff helps hold the shoulder in place, stabilizes the joint, allows you to raise your hand, enables you to reach overhead, and permits you to take part in activities like swimming, throwing, and tennis. 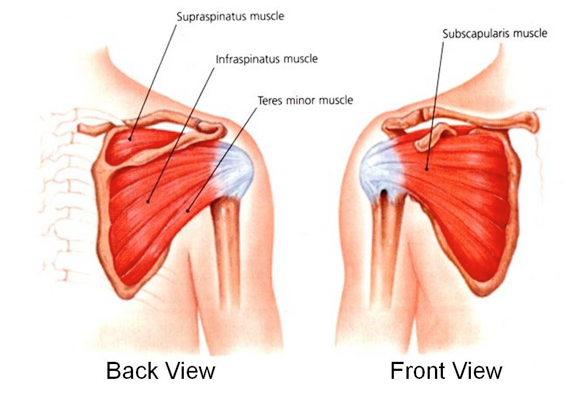 The tendons that help the muscles with movement are the supraspinatus, infraspinatus, subscularis, and teres minor. The rotator cuff can suffer a tear following an acute injury, such as falling onto the elbow or shoulder, or when lifting something heavy. The shoulder will immediately feel weak, and there will be pain when lifting the arm. 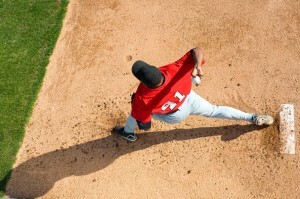 A torn rotator cuff from an injury is usually immediately repaired. However, the rotator cuff can develop degenerative changes from previous injuries, which causes chronic pain. A chronic tear sometimes cannot be repaired. If the tear causes significant disability and pain, the orthopedic surgeon may opt to operate to improve shoulder function and relieve discomfort. A torn rotator cuff will cause shoulder pain that awakens you at night, as well as weakness when raising the arm. Examination of the shoulder will reveal weakness and tenderness along the torn region. The doctor will take a medical history, inquire about your symptoms, and conduct some imaging tests, such as arthrogram (x-ray after injecting dye) and magnetic resonance imaging (MRI). 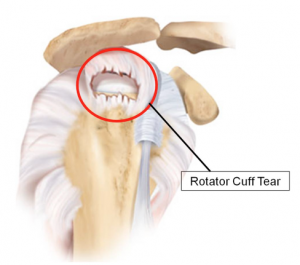 Most rotator cuff tears are easily repaired through surgically reattaching the torn tendons to the upper arm bone. The procedure involves making small incisions around the shoulder, separating the deltoid muscle of the upper arm to expose the torn rotator cuff structures, and using special instruments to trim the torn tendon ends. After debridement and tendon changes are made, the surgeon uses sutures to attach the torn tendons. Tiny holes are drilled into the humerus to anchor the tendons to the bone. If needed, suture anchors are used to placed tendons to the bone, which re-establishes a tendon-to-bone connection. After all changes and repairs are made, the incisions are closed using sutures. A drain may be placed in the shoulder region to remove build-up fluid, and a bandage will be placed over the surgical site. After surgery, it could take several months for the tendon(s) to adhere and heal back to the bone. During this time, you must avoid any forceful use of the arm or shoulder, such as lifting weights or throwing overhead. After surgery, the arm is in a sling for 4-6 weeks, and you work with a physical therapist doing gentle pendulum motion exercises and other maneuvers. The success of rotator cuff repair surgery depends upon the size of the tear and how long ago the tear occurred. Typically, a small tear has a good chance of healing and making a full recovery. 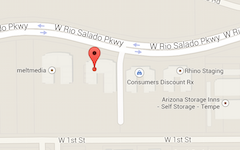 If the tear was fairly large, the recovery may be extended. Also, when the tear occurred several months back or longer, it may be difficult (if not impossible) to repair. Most patients report improvement in pain following rotator cuff surgery.